You can't plan for emergencies - that's why T & H Towing is here for you at all hours. Don't hesitate to give us a call! Contact T & H Towing and Recovery for roadside assistance. T & H Towing & Recovery provides 24-hour emergency roadside assistance, towing and wrecker assistance for all types of vehicles, including motorcycles. Our professional technicians arrive fast and are trained to handle just about any situation to ensure that you are safe. From compact cars to semi trucks, we have the capability to tow any vehicle. Whether your sedan has broken down or the side of the road or you've gotten into a wreck with your 18-wheeler, you can trust T & H Towing and Recovery to get your vehicle safely to where it needs to be. 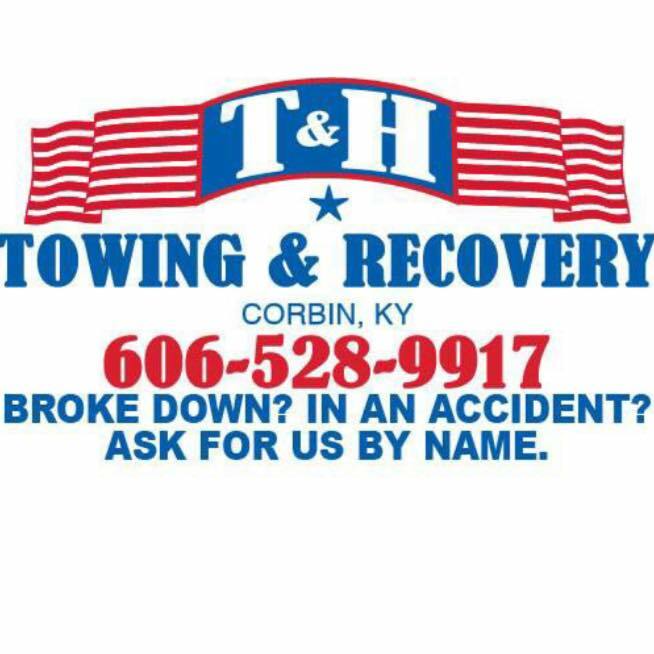 We offer the most reliable light-weight, heavy-weight, and medium-weight towing services in the Corbin, Kentucky area. Copyright © 2019 T & H Towing & Recovery, all rights reserved.